Why Choose Pittsburgh Medical Mall Companies? We are dedicated to improving your appearance as well as your health. 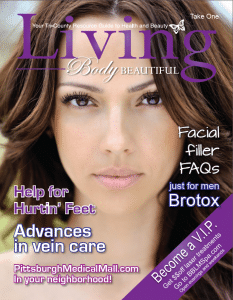 Why Choose to advertise in Living Body Beautiful Magazine? We deliver useful content at precisely the right moment when a buyer needs it. Features Award Winning companies for being Pittsburgh’s Best of the Best. We are marketers with the experience to help you put your work with other businesses that provide unique products, that can deliver the highest standards of service. The mission at LIVING Body Beautiful is to share your specialty business with the most up to date information to ensure we are meeting your businesses individual’s needs. Not only as the most affluent provider but servicing to the most affluent clients in Pittsburgh. You can rest assure that your business advertisement is in the best hands possible. 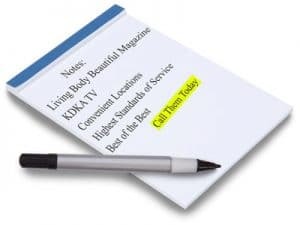 Here at Pittsburgh Medical Mall & Living Body Beautiful Magazine you’ve found the ultimate referral network of online providers for servicing your clientele. It is very important for our clients to understand the value that our unique long term branding that we can provide. That’s why our staff provides free consultations and give many examples to educate & show you how to succeed with us. From there, we will customize packages that will provide you with optimal results. Our professional staff works not only with well established businesses but also new, growing businesses who want to get their products into the hands of the consumers, precisely at the right moment, when a buyer needs it! We do that by distributing LIVING Body Beautiful into unique venues (Bridal Events, Health Fairs, Business & Senior Expos, Etc….) and many unique locations (Physician Offices, Salons & Spas) and placing your business directly into the hands of potential clients, such as the ones listed in our Providers section. Imagine this magazine as a “referral script” where patients can get a specialists opinion (you) that is accurate and informative.